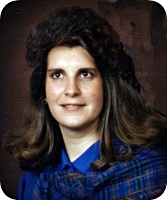 KNAPP - Paula L. Knapp aged 59, of Kentwood, passed away on Tuesday, July 10, 2018. Paula graduated from Godwin High School in 1976. She was a former member of Garden Park Church of God. She loved to cook and was an avid U of M Football fan. Her father, Charles E. Knapp, preceded her in death. She will be lovingly remembered by her fiancée, Jay Van Dellen; daughter, Alicia Haven; mother, Joyce Knapp; brother and sisters, Steven (Norma) Knapp, Lynne (David) Krogh, Janice (Thomas) Mawson; and several nieces and nephews. Funeral Services will be held 11 am Monday, July 16, 2018 at the Stroo Funeral Home, with Pastor David Krogh officiating. Interment will be in Rosedale Memorial Park. Contributions in memorial of Paula may be made to the DeVos Children's Hospital. The family will greet visitors on Sunday from 4 to 8 pm at the Stroo Funeral Home. So sorry for your loss. I knew Paula from Garden Park. I just can't believe it. Lots of memories of her at church & socially. Again, sorry for your loss.